Front view of the Peace Medal. 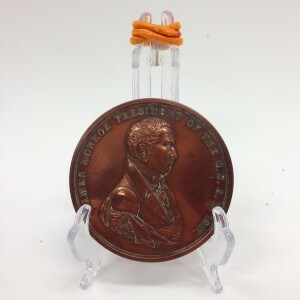 Description: This peace medal is made of brass. The front side exhibits a portrait bust of James Monroe with the words “James Monroe President of the U.S.A, D. 1817.” The reverse side shows the clasped hands of a Native American and an American soldier with the words “Peace and Friendship” embossed throughout. Above the clasped hands, a tomahawk and a peace pipe are crossed. 3-D Scanning Process: Because this object is so small and basically two-dimensional, we were unable to scan it with either the Kinect or MakerBot. We initially attempted the scan on the MakerBot with a black, wooden stand, but we were unable to elevate the Peace Medal high enough to separate the Medal from the MakerBot platform. 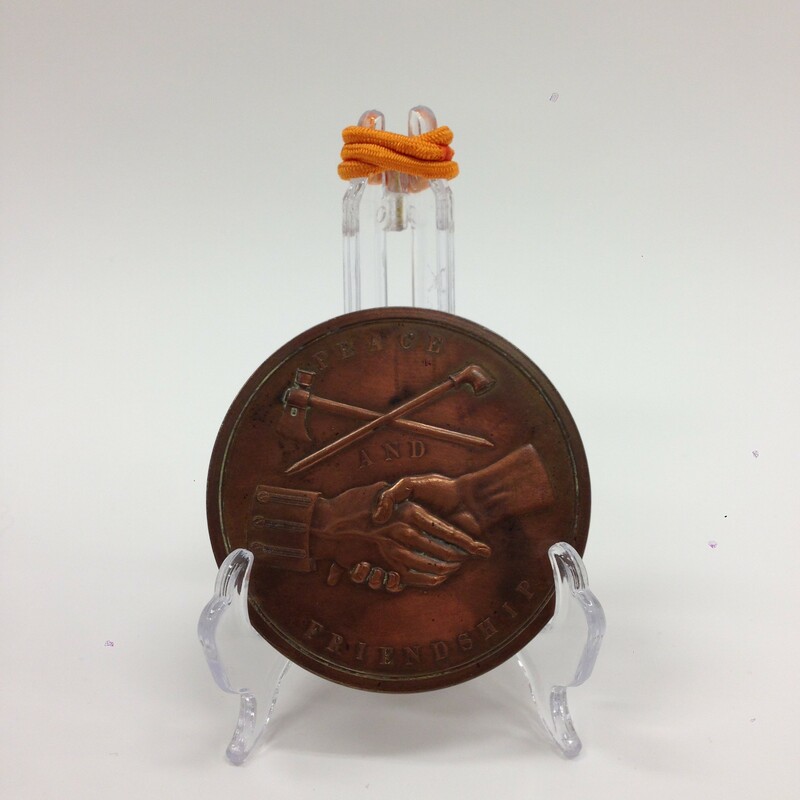 We next attempted to scan the Medal with a clear, plastic stand, but because it is clear, the lasers from the 3-D scanners refracted, causing inaccurate scans.